There are lots of cordless hair clippers and producers on the market and all proclaim that their product is the best. But most of them are the gimmick. For that, it is very tough to decide which one is really good. 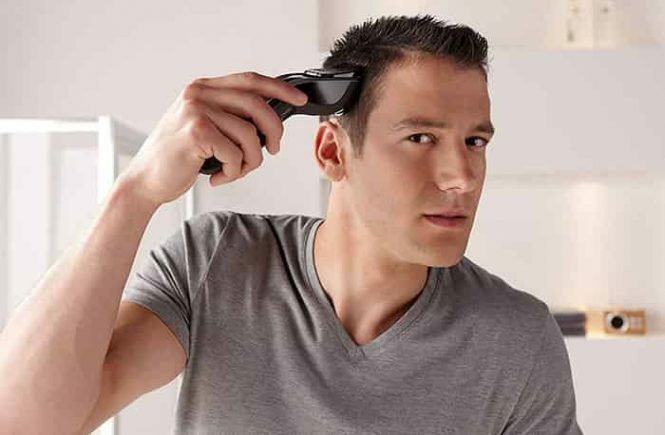 To get off such kind of confusion, we listed the best cordless hair clippers on the market after lots of research, personal and professional experiments. Here we gathered only the cordless hair clippers which will serve with the rechargeable batteries. And we can confidently declare that none of these hair clipper kits will disappoint you. N.B: Click on “View On Amazon” button to view more details and buy the product. And Clink on the name and picture to view the features and specifications. There are very few people who don’t know about the giant electrical stuff company Philips. 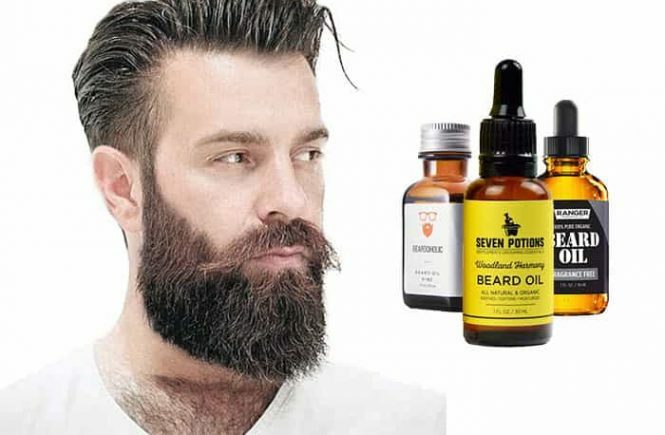 They have achieved a strong position on the market with their electric shavers, beard trimmers, and hair clippers. The Philips Norelco HC7452 is the top in the list of hair clippers by Philips. The design and user experience of this cordless hair trimmer will definitely fascinate you. It could be your best personal hair grooming kit in a smart budget. Features and specifications of Philips Norelco HC7452 electric hair trimmer. The Philips Norelco HC7452 hair clipper kit comes with dual power motor which provides 2x faster performance for a smooth and complete haircut. The blades come with DualCut technology to catch and cut more hair in every pass. It has the zoom wheel system for the minimum to maximum hair length setting. There is a Turbo power button for accelerating the power for super-fast operation. There are 23 hair length settings with the comb and length wheel from 1mm to 23mm for smaller to the longer haircut. Most adorable thing is that the powerful rechargeable Lithium-ion battery provides 2 hours of operating time with 1 hour of full charge. The hair clipper kit comes with Titanium coated self-sharpening blades which stay sharp year after year of use without oiling the blades. The blades and attachment comb are fully washable, so you can easily rinse them with running tap water. Comfort grip system of this hair clipper kit makes it more secure and comfortable. It could be your ultimate personal or professional cordless or corded hair clipper kit. The adapter supports universal power voltage( 110v – 240v) for charging the hair trimmer and makes it super comfortable for traveling. 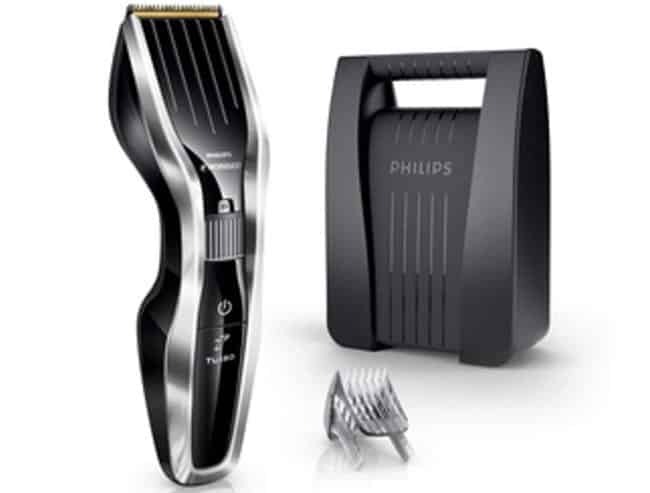 Philips provides 2 years of limited warranty for the Philips Norelco HC7452 hair cutting trimmer. Wahl is the number #1 hair clipper company in the current market. They are also the oldest hair clipper company which started producing hair clippers and trimmers in 1919. They have lots of corded and cordless hair clippers on the market. And the Wahl 79600-2101 is very remarkable in their production. 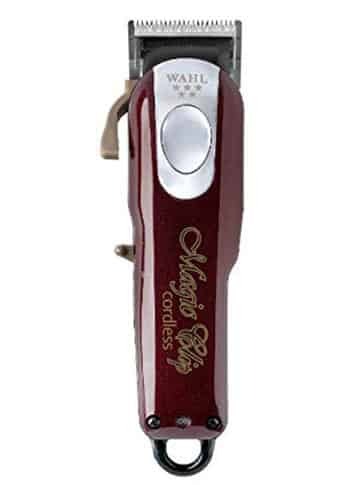 The Wahl 79600-2101 is a rechargeable cordless hair cutting trimmer. Features and specifications of Wahl 79600-2101 cordless hair trimmer. 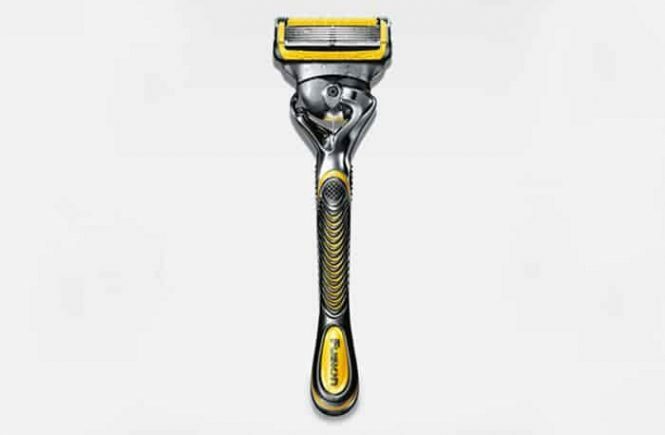 Comes with standard Wahl precision blades which cut 40% faster for an efficient haircut. The blades are self-sharpening. So, the blades will stay sharp without any oiling for a long time and provide super-sharp operation in every use. The Wahl 79600-2101 comes with multiple sizes of hair length combs to provide the different length of hair cutting. Wahl 79600-2101 hair clipper kit comes with a powerful Lithium-ion rechargeable battery which provides 2 hours of cordless operation with 3-5 hour of charge. And the most astonishing thing is that, the hair trimmer can hold a charge for 1 year if you do not use the whole charge in a period. The electric hair trimmer Wahl 79600-2101 has a quick charging option which provides enough juice for a haircut with 10 minutes of charge. Made only for the North American countries and does not support international power outlet(Power adaption 120v). The hair cutting trimmer comes with a powerful Wahl motor which offers 50% more power for proficient performance. The complete set is 12 pieces with 10 guide combs. There is a battery detail trimmer(2 AA batteries required) included with the hair clipper kit for detailing your sideburns and mustache. You will get a small cleaning brush and oil for easy cleaning the hair trimmer head and blades. There is an LED indicator to show the charging and power status on the hair trimmer. 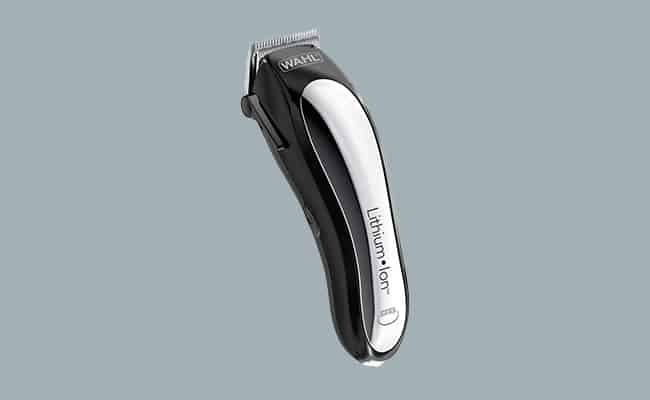 Wahl Offers 5 years of limited warranty for the Wahl 79600-2101 hair clipper kit. Remington is a very famous brand for electric beard and hair trimmers. The Remington HC6550 is their adorable and vacuum attached hair cutting trimmer. The eye-catching design and features of Remington HC6550 will definitely make you attracted to have it as your personal and professional hair clipper kit. Features and specifications of Remington HC6550 cordless hair trimmer. Titanium-Coated stainless steel blades provide super-sharp performance for a fast and stylish haircut. There are 11 cutting length combs from 1.5mm to 25mm of increment. The powerful motor produces more stream to provide extra power for a faster haircut. Remington HC6550 hair clipper kit comes with powerful Lithium-ion rechargeable battery which provides 1 hour of cordless shaving with 3-4 hour of full charge. There is a quick charge option within 10 minutes to have an urgent haircut while the battery is fully dead. 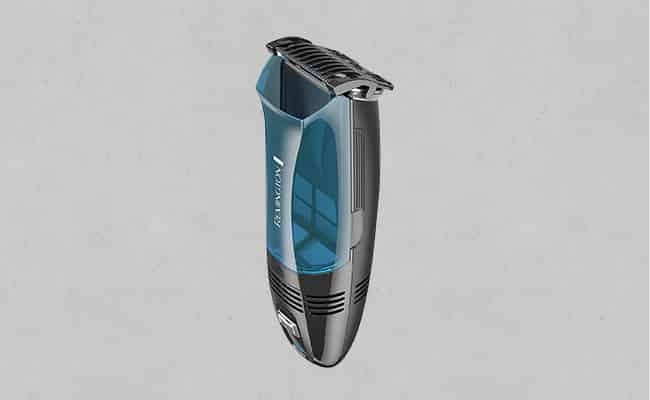 The cordless hair trimmer comes with an innovative vacuum system to catch the trimmed hairs in the bin and keep the head clear for effortless trimming. You can easily clean the blades and attachments with running water or with the cleaning brush provided with the package. You do not need to worry about the cleaning every hair after cutting. Because there is a powerful fan which will attract the hairs after cutting and put them to the vacuum bin restlessly. There is an LED charging and power indicator on the hair clipper kit. All the related thing like scissor, hair clip are included with the package for a complete haircut. The combs included with the hair clipper kit are made with tempered plastic which are very strong and will serve without bending and bucking. Remington offers 2 years of warranty with this electric hair trimmer. The Beautiful Wahl 8148 electric hair trimmer is called magic clip which has an ergonomic design. The customers of this hair trimmer are very happy with it and it is specially designed for professional use. It is one of the best cordless hair clippers. Features and specifications of Wahl 8148 5 Star hair cutting trimmer. 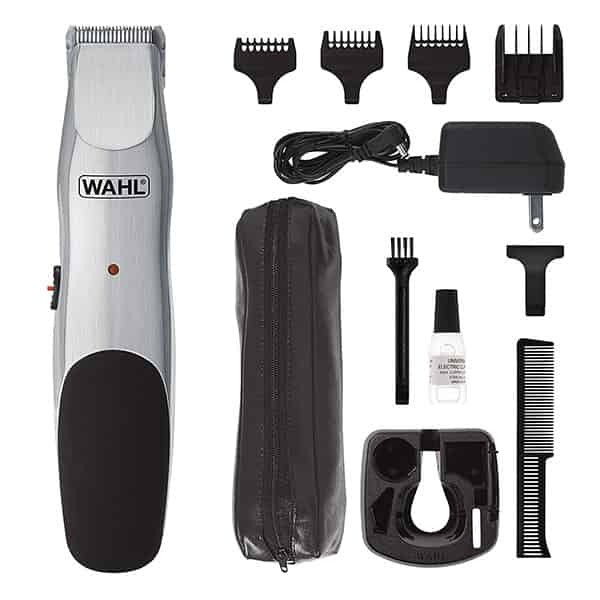 Wahl recommends this hair clipper kit only for professional use. There is the built-in length setting option on the head of the cordless/corded hair clipper Wahl 8148. The blades of Wahl 8148 hair clipper kit comes with zero overlap which offers the ultra-sharp and high performance of cutting with comfort in each haircut. It comes with the super powerful motor to provide the blades extra power for professional hair cutting smoothly. The motor makes a very little sound. The design is fully stylish and functional for ultimate hair cutting. comes with 8 hair guide comes for different hair legnth. Wahl 8148 hair trimmer comes with a regional power adapter. So, you can use it only in the USA. 2 years of warranty only for the USA people. The Wahl 9649 color pro cordless hair trimmer is very popular on the market for its beautiful design and reasonable price range. It can be your personal or professional hair clipper kit. There are color combs with color keys for flexible and easy hair clipping. And honestly, this is my personal hair clipper hit gifted by my wife. 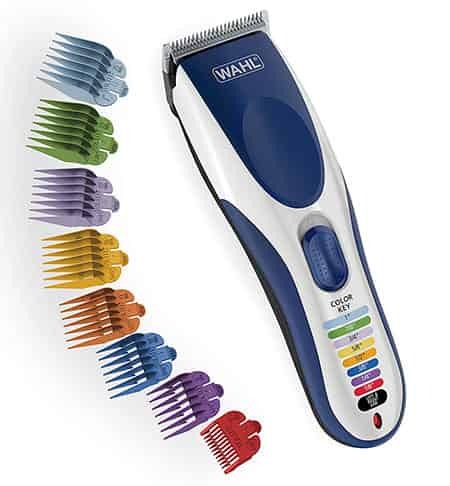 Features and specifications of Wahl 9649 color pro cordless hair clipper. Comes with universal voltage(110v – 240v) where the Wahl 79600-2101 comes with only for the North American power volt support. So, you can use it anywhere of the world. Very easy to use with color guide combs. The Wahl 9649 color pro hair clipper kit comes with powerful NiMH rechargeable battery which provides 60 minutes of cordless performances with 2-3 hour of full charge. There is a quick charging option within 10 minutes for an urgent haircut. 8 different size combs with the different color guide. Stainless steel blades stay super-sharp for a long time of use and provide ultimate-smooth hair clipping performance. The blades are detachable and washable, so you can rinse them easily with running water. LED battery and charging indicator. It performs very quietly while the other clippers make lots of noise. All-in-one 21 pieces of a package for a complete hair grooming and styling. As this is a travel-friendly hair clipper kit, there is a soft travel bag with this package. Wahl offers 5 years of limited warranty and 30 days money back guarantee only for the USA people. Philips is a very popular international brand for electrical products. They are also famous for electric shavers, trimmers and hair clippers. The Philips Norelco Multigroom 7000 is a third generation grooming kit for men. It is not only a hair clipper but also an all-in-one grooming kit for men’s hair removal. You can use it as your personal hair cutting trimmer and also other hair removal kit such as facial hairs. But if you intend to buy a clipper only for hair cutting, then I do not recommend it for you. Features and specification of Philips Norelco Multigroom 7000. There are 5 different heads come with the Philips Norelco Multigroom 7000. Extra-wide hair trimmer: for trimming the head hairs 2. Full steel trimmer: for trimming the facial hairs 3. Detail trimmer: for detailing your sideburns and other edge areas 4. Foil shaver: for shaving unwanted hairs anywhere from your body 5. Nose and Ear Trimmer: for removing the hairs from the nose and ears. There are 14 reinforced trimming guards for the different length of hair trimming with different trimmer heads. The grooming kit comes with DualCut Technology with the stainless steel blades to cut the hairs more efficiently. Philips Norelco Multigroom 7000 is fully washable. So, you can rinse the trimmer easily with cold or warm water. There is an LED indicator for charging status. It offers 1-16mm cutting lengths for sorter to longer hair cutting. Philips warrants this product for up to 5 years. Surker is a growing hair clipper producer company in the USA. They are catching new customers with their quality and flexible hair clippers on the market. The Surker cordless LCD hair clipper is their most adorable hair clipper kit. This hair cutting trimmer is made for personal and professional use. Features and specifications of Surker Hair Clipper. Comes with Titanium ceramic stainless steel super-sharp blades which perform smoothly on the hairs year after year of use. You can select the power from the lower to turbo mode for a normal or super fast hair cutting. The Surker hair clipper comes with powerful Lithium-ion rechargeable battery which provides 2 hours of cordless hair cutting with the 2-3 hour of charge. There is a quick charging option within 10 minutes for an urgent hair clipping while the battery is fully dead. Comes with 4 different lengths of guide combs for different length fo hair cutting and styling. Rinseable and detachable blades for easy cleaning with the cleaning brush included. Lock in length settings on the head for different length customization and provides 0.8mm to 2mm hair cutting and styling length without the guide combs. The guide combs provide 2mm-12mm hair cutting length settings for smaller to longer hair cutting and styling. There is a very useful LCD display on the hair clipper kit to show the 10 stage power status, lock status, hygiene status when need to clean, and acceleration indicator. It supports universal voltage(100v-220v) for charging. 2 years of warranty with the Surker hair clipper kit. Wahl 9818 is a multi-grooming kit for men. You can cut your any kind of hair from your body with this electric hair trimmer. This is a personal grooming kit for any kind of hair removal. If you intend to buy only a hair trimmer, this is not for you. But if you would like to have a hair cutting trimmer for all of your grooming need, then this can be your great companion. Features and specifications of Wahl 9818 electric hair trimmer. 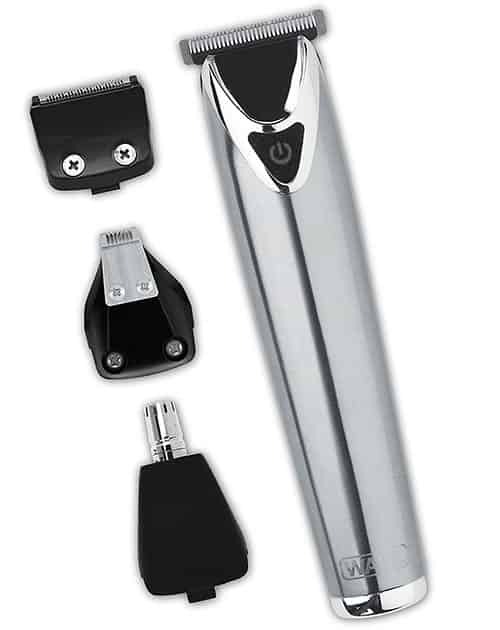 The Wahl 9818 hair cutting trimmer comes with 4 cutting heads T Blade: for trimming your hair and beards, 2. 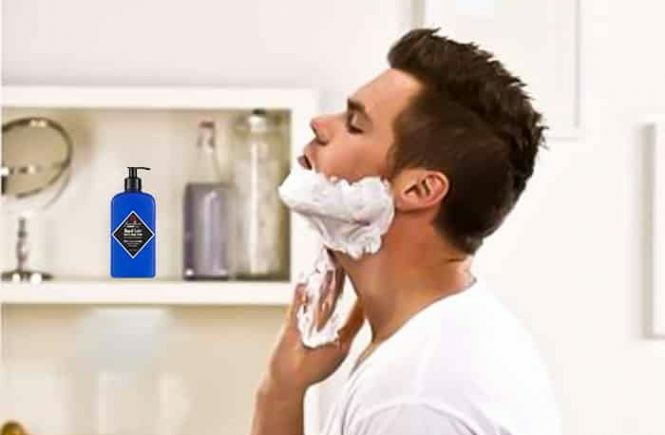 Detail Saver: for shaving your whole body hairs and outline beard and hairs, 3. Precision Detailer: for detailing your sides and beards and also sizing your sideburns, 4. Nose and Ear Trimmer: for removing unwanted hairs from the nose and ears. There are 12 guide combs for the different length of haircut and beard trim settings. Comes with self-sharpening stainless steel blades which stay sharp without oiling them and performs super-sharp year after year of use. The Wahl 9818 electric hair trimmer comes with a powerful lithium-ion rechargeable battery which provides 4 hours of running time with 1 hour of full charge. There is a quick charging option within 3 minutes of charge to have an urgent haircut or beard trim while the battery goes dead. The adapter supports worldwide voltage(110v-240v) for charging which is very favorable for traveling. There is an LED charging and power indicator on the hair trimmer. Offers 1/16″-1″ of hair cutting length for smaller to the longer haircut. The best adorable thing is that, when the battery gets fully charged, the charging automatically goes off. The full body is made with stainless steel. Attachments of Wahl 9818 hair trimmer are fully washable, so you can easily rinse them with running water. Full 5 years of warranty for USA peoples. Conair cordless clipper is a very simple and straight hair cutting clipper by the upgrowing Conair. The Conair cordless clipper is very suitable for the home haircut and professional use. Features and specifications of Conair Cordless Clipper. The Conair cordless clipper comes with super-sharp stainless steel self-sharpening blades which stay sharp after 5 years of use without any maintenance. 5 taper control position settings for different length. 22 pieces of a package which includes everything you need for a hair cutting and styling. 55 total length settings with the different hair combs for the different length of hair cutting. Comes with powerful Lithium-ion rechargeable battery which offers 60 minutes of cordless use with 1-2 hours of charge. Powerful AC/DC motor for the maximum speed of hair cutting. The Conair cordless clipper comes with a powerful universal adapter which supports 100v-240v for worldwide use. LED charging and power indicator. Washable blades for the easy rinse with running water. 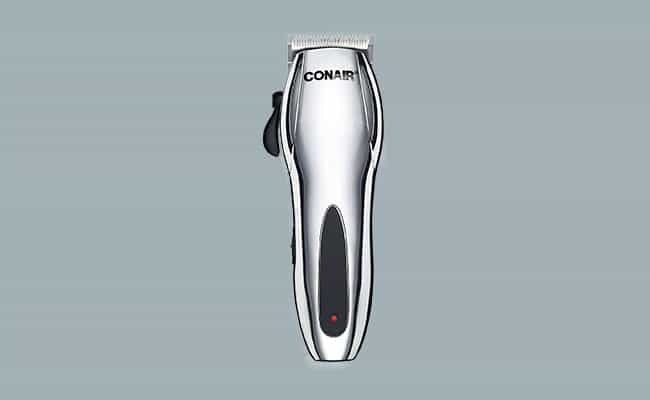 Conair offers 5 years of limited warranty with Conair cordless clipper. The Wahl 9918-6171 is a multi grooming kit for the different type of hair removal of men’s body. The nickel finished and standard design of the hair cutting kit is very attractive. Features and specification of Wahl 9918-6171 hair cutting kit. Long lasting self-sharpening blades stay sharp year after year of use without any maintenance. 4 different length of hair guide combs for the different length of hair cutting and styling. Rechargeable lithium-ion batteries keep the charge for up to 2 months for ultimate cordless use. Washable blades for easy rinse under water. Power and charging indicator on the hair cutting machine. It comes with a power stand. There is a travel lock switch for travel convenience. Contour detecting shape for reaching every angle of your head and face. Provides 3 years of warranty for the USA people. After plenty of market research, customer’s reviews, personal and professional tries by many peoples, we could reach in a decision that those cordless hair clippers above would be great for hair trimming and full filling your demand. None of these hair trimmer companies pay us for advertisement and there is no gimmick. We listed those cordless hair clippers only for blogging purpose and helping you. If you find any problem with the hair clippers we listed and does not meet our description, please let us know with a comment below. I located your site from Google and I have to claim it was a wonderful discover.